GUIDED TOUR TO CAPE LOOKOUT LIGHTHOUSE. AB Watersport is the only water sports rental company that offers guided tours on the island. Join us for a thrill of a lifetime and take our tour to Cape Lookout National Seashore on jet skis with one of our guides. 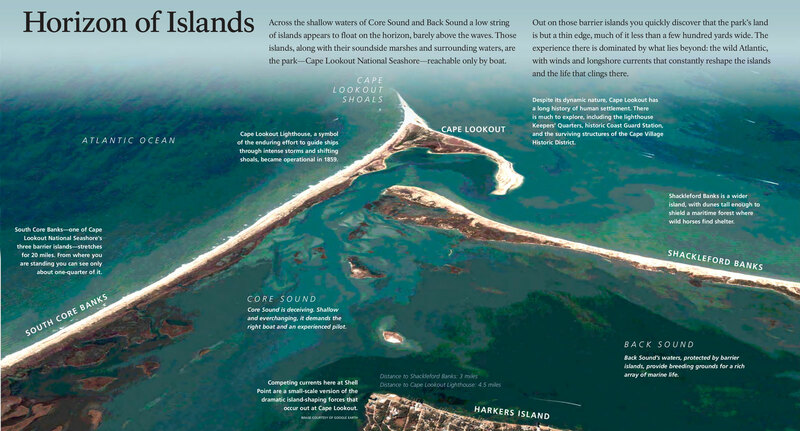 The Cape Lookout National Seashore, with its famed lighthouse, offers escapists a 56-mile stretch of undeveloped beaches accessible only by boat or jet ski. Sand dunes and miles of large unbroken conch shells seem like they have been resting there for centuries. In harmony with the natural scenery are fishermen patiently waiting and watching, like shorebirds, looking for their next meal to spring out of the frothy blue waters. 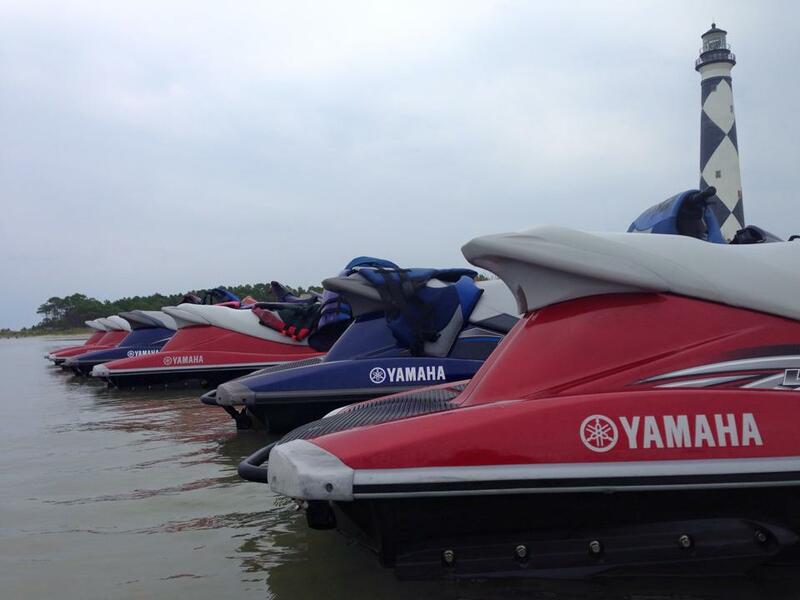 Book your jet ski excursion with AB Watersports today for the time of your life. Cape Lookout National Seashore preserves a 56-mile long section of the Southern Outer Banks, or Crystal Coast, of North Carolina, USA, running from Ocracoke Inlet on the northeast to Beaufort Inlet on the southeast. Activities include fishing, swimming, shelling, boating, windsurfing, kayaking plus, of course, climbing Cape Lookout Lighthouse. AB Watersports is the only Jet Ski Tour service in the area allowed to take patrons to the Cape Lookout National Seashore, this is a must visit on the Crystal Coast and one of the crown jewels of the area. Book your guided tour today. You will see an abundance of shorebirds, seashells that litter the beaches, and of course the famous lighthouse. The waters of the Atlantic Ocean range from an aqua green to a deep blue on the coastal shores of North Carolina. The setting at Cape Lookout is pristine with white sandy beaches, the lighthouse in the background, and it makes the perfect place for photos to cherish a lifetime. Don’t miss this sight! The scenic ride. The wild free horses. The gift shop. The lighthouse. The pristine beach. The beautiful sea shells. After a long day on the water, you may want to consider taking a Sunset Dinner cruise or a Sunday Brunch with the dolphins ride on the Crystal Coast Lady.